Are your special effects special enough? 6 tips on making your lightshow a dazzling success..
People are mostly visual, they will remember what your show looked like much more than what it sounded like. So if all you had was one or two effects on during the whole night, then your performance is likely to get the thumbs-down regardless of how good you were in your own performance. 1. 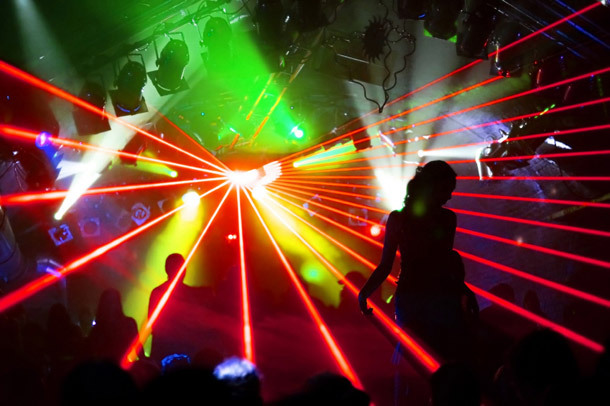 Use different TYPES of effects: Examples of types include strobe vs laser vs scanner vs coloured disco light many of which could differ in effect in their own right. The key is how different they look in the eyes of the audience. If you’re new to lighting effects, see the end of this article for simple definitions on most commonly used lighting effects for lightshows. 2. Fog is an absolute must for a great lightshow (venue-permitting). The effect that most lighting effects make is substantially enhanced with smoke as the light reflects off the smoke or haze in the air and creates a much more impressive effect. You could also look at our article on foggers and smoke alarms for some more information on this topic. 3. 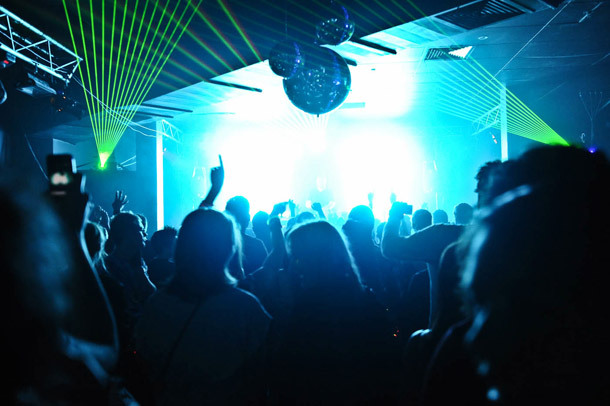 Position them right: Best positioning for special effects is about 2-3m high and pointing into the dance floor area. You might point some lights onto a wall if their effect is attractive enough and if there is a suitable nearby wall. 4. Use 2 or more units of some effects: Multiplying certain effects could look much more impressive than just one. Ideally if you can position them at either side of the dancefloor and link them in master-slave mode, you would get the best result. 5. Watch out for oversensitivity: As music gets louder through the night, watch your lights for oversensitivity. If the sensitivity is controllable, try to lower their sensitivity as some lights may become too sensitive to music as the night progresses and end up being on all the time as opposed to only moving to the beat. 6. Consider a DMX controller: If you have more than 3-4 lights it may be a good time to get a controller. This will allow you to pre-program scenes and sequences between the lights and gives you more opportunity to pay attention to your own performance without being distracted by the lights whilst still maintaining a remarkable show. 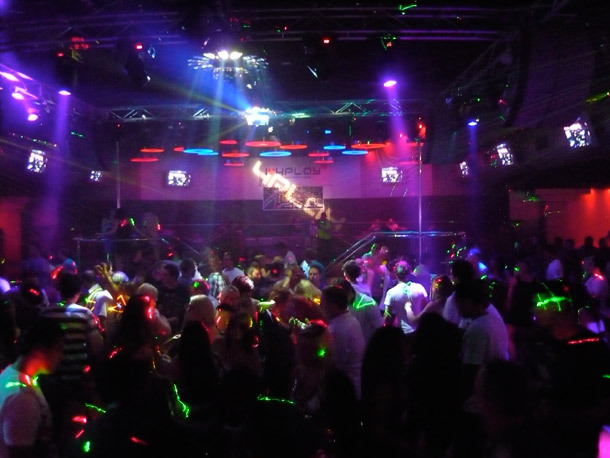 Strobe Lights: These are intense white light that flashes very quickly creating the illusion of a slow motion effect. Remember, don’t use strobes for any longer than 30 seconds at a time. Ultra Violet / Blacklights: Provides that glow in the dark effect, fantastic for entranceways, chill out zones and even the dance floor. Mirror Balls: Used typically as a centerpiece or in clusters for glitter and dramatic effect. Scanners: A fast moving mirror “scans” light beams rapidly in every direction with a wide pan and tilt range. Scanners are usually equipped with gobos that have different patterns and shapes on them and can change colour. Oil Wheels: Oilwheels Give a psychedelic effect not dissimilar to a giant lava lamp. Great for 70’s parties and setting the mood. Water Effects simulate water flow effect that can slowly colour change or remain on one colour. Looks amazing on floors or walls for an engaging electric canvas. Passive or Active Speakers – What is best for me?THE WEDDING RECEPTION – Let’s get started!